pampering, Richard gave me a brand new BMW car as his wedding gift to me. wanted was to escape from the room in order to breathe properly. manicured fingernails furiously; something I do whenever I am very nervous. "I don't even know how to do that". all of them with me. maintaining its headquarters in Lagos. with her one year old daughter. is the exact replica of a doll. whooping ten years without a child. emblem thus the numerous rumors and gossips. my child is on the way. 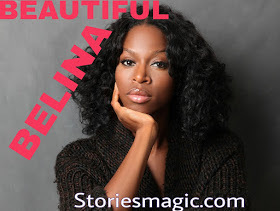 0 Response to "STORY:BEAUTIFUL BELINA(SEASON 2,EPISODE 1)"